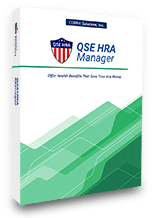 COBRA Companion is the perfect complement to our COBRA Administration Manager software. This product was designed for our customers administering COBRA for multiple companies looking for a more efficient way to enter COBRA data to improve productivity and increase the capacity to handle more clients. Please complete the form below with your company information. 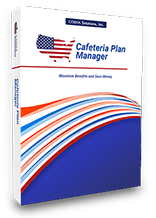 This information is used for billing and ensuring that you are a current COBRA Administration Manager user. 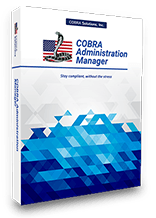 If you are not currently a user of the COBRA Administration Manager, please click here for purchasing information. The user name and password created here will be used to access your account via www.mytpaonline.com. The email address you enter here is displayed to the groups that you setup through COBRA Companion. It may be the same as above or you may want to use a different email address. All information may be changed from your control panel. Note: User Name and password may be altered by COBRA solutions. Once your account has been created, your credentials will be emailed to you. Before submitting this form, please review the following Service Agreements. After reviewing, check the boxes indicating that you agree with our service agreement. You will be contacted within 48 hours to confirm your registration.